Oh that was funny. Let me wipe the tears from my eyes. Why is this golf game running a standard version of Windows, as opposed to the slimmed-down embedded version? It's strange the things that run on standard Windows sometimes. Perhaps one of my scariest pop-up experiences was when I was looking at the Arrivals/Departures monitor at the airport and a standard Windows error dialog popped up. Thankfully I wasn't the one flying that day. The Golf One: That is rich. VirtualDub: Nggh. Somewhere I have run into a similar error. I remember it resulted in premature ageing and hairloss., then I picked up a different program. As for VirtualDub's errors, well, concatenating two videos is black art and its idea of "the files have to have exact same encoding settings" vastly transcends mortal definitions. Sweet. That should be a WTF article in and of itself. I wish I had a screen shot for when The Core Media Player crashes (although for some reason it keeps running half the time without problem). It says the program has BOK'ed and has a picture of a helmet saying "Born to Crash" (a la Full Metal Jacket). here are a couple I've been saving for just this occasion. here we go check this one out it is my personal favourite. Why was there no error handling to keep the message from the player, or for that matter, crash the entire game? Because the "slimmed-down embedded version" doesn't support decent 3D acceleration, recent non-PDA chipsets, or anything close to a DirectX implementation, I'd guess. Why does the golf game use web pages? Probably to get around the inherent limitations of HTML, which make it hard to do responsive, "live" user interfaces. It is a funny screenshot, but it's not that surprising that they developed it this way. I guess I should create an account so I can edit posts instead but.. I think that Golf one is the one that they have at the bars where they are linked to a central server. Your high scores are uploaded to a server and the winner wins some money or something. So it is possible that it submits the scores through HTTP in the background. Oops, that didn't work. Basically it was red text on red background. Ha Ha, yeah - create an account and then you'll be able to edit posts; SURE! 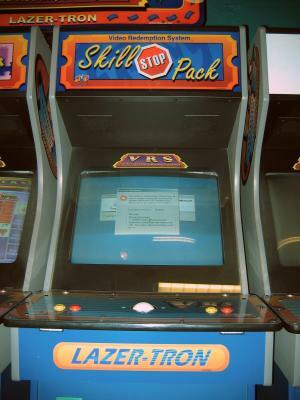 In Windows, an operation completing successfully IS unexpected!! And in Soviet Russia, the operation completes you!! It raises a rather deep philosophical question: how could a file without a name exist? This is common in UNIX where files and names are independent. Next up is Gerard Aalbers, who came across this error in the IDE while developing an embedded application for a microcontroller. using MPLab IDE. It raises a rather deep philosophical question: how could a file without a name exist? It depends on the filesystem. It can happen in UNIX. If an open file is deleted, the directory entry is released but not the file itself. When the file is closed, the space will be reclaimed. Until then, the process with the file open can continue to use it, even writing to it. This is great for temporary files as they will be automatically deleted when the program ends. It is also useful for upgrades. Overwrite a program with a newer version. Anyone using the older version still has access to it. Anyone starting the program gets the new version. When the last user using the older version exits from it, it will be deleted. I think the "Disable script debugging" option in IE was turned off by default for a while, which allows these messages to come up. There's a UI WTF right there- you have to enable the disable option, rather than disabling an enable option. Sure, they're syntactically the same, but the second doesn't make yourself ask a question like "now do I not want it not to not show up?" It's a little more complex than that. They're actually comparing fixed-point binary numbers which do differ in one or more bits. But the error message display, for inscrutable reasons, converts the numbers to single-precision FP, a form in which they look identical. I think I understand the "an unnamed file was not found" error. The program is probably converting a blank filename into "an unnamed file". No, Im trying to link the readable one .. but User error has intervened. Well.. I'm no scientologist or anything.. but I it's possible to just type the error message you're trying to show us.. It says "Cannot remove folder LOCALHOST: The filename or extension is too long." 2. Perhaps they were using a standard "AlertDialog()" function for every single message that always had "Unexpected error" in the title, be it an error or an informative message? 4. Programmer couldn't think of anything else to say. 5. Bad display: 30.000305 vs. 30.000302 would've made sense. Actually, for #2, I think I've seen this bug elsewhere. Basically, it's where one of the winsock functions is returning that there is an error (setting the socket to SOCKET_ERROR), but when you check WSAGetLastError, it returns 0, which a lot of libraries map to "The operation completed successfully." You can always go to virtualdub.org and post in phaeron's blog (or email him) nicely demanding slightly better concatenation, or at least a "Are you SURE you want to do this? (May throw off sync or crash!)" message. Might as well before he starts working on 7.x, which is going to be a long way down the line. There's a lot of similar wtfs that I could bring up having worked with video tools forever. You should see the sources to some. =p But they're not really 'pro' so they don't count. Really? For a 150 minutes long movie 0.03 seconds is such a big deal that one cannot afford to do the conversion, disregarding the discrepancy. Well, in all fairness, that ship doesn't run on standard Windows, it sails. And not even that, actually. Getting VirtualDub to do an append frequently requires the use of a hex editor to make the file headers match. At some point I got used to this. I often had to append several avis together, all sampled with the same framerate in the original program, but due to whatever reason the actual framerate written to the avi files differed from each other by tiny amounts (like 0.01 fps or whatever). What I did was to open the avis in a hex editor, search this framerate in each, calculate their average and then write this average to all of them. After that virtualdub agreed to append them. There was never any audio/video desync problem (the difference caused by this manual modification was probably much less than a frame even in long videos). However, as you say, virtualdub could support doing exactly this automatically. That is, it could look that "hey, the framerate settings of these avis differ only by a tiny bit; I'll ask the user if he wants me to average these framerate settings automatically and append the videos". Welcome to the Microsoft world. I have always been under the imopression the have a team of psychologists working on this specific part of their UI to make it as unintuitive as possible. This carefull mix of positive questions and negative questions. E.g. IE's "Do not cache secure items" which is checked by default. Bastards. Name it "Cache secure items" and uncheck it by default. Well, it's only the display part, of course. Some Dutch (train) stations have big displays showing departures, and quite regularly it has a familiar shade of blue, with an NT kernel fault, complete with register dump. Makes you really trust them. The framerate in AVI is a fraction of two 32bit numbers. Maybe the values of the fractions were identical, but one of the fractions was not normalized. VirtualDub does not normalize and keeps original values from some compatibility reasons. 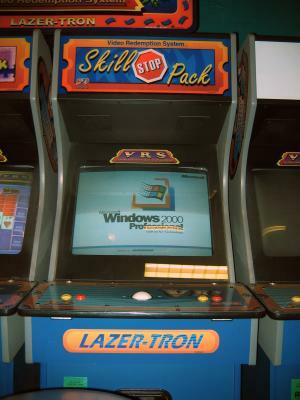 Even better than that, I saw a Windows 98 Installation screen on one of those boards... and I was flying that day. This forum does not allow preview, and it does not allow you to edit your posts. Now that is a real WTF! It doesn't even have to be a blank file name. Its an error I always see with vc++ 6.0 code when you try to use CFile/CStdioFile functions on a file that doesn't exist. Apparently people didn't know about CFileFind or PathFileExists() and just assumed a file was there. it is a very old story, you can insert a keyboard at this point and then press f12 to continue, not really that amazing. Probably, you just entered "an unnamed file" as filename. That file doesn't exist, so it displays this error. The same way, you also can get messages like "Are you sure you want to delete everything on your computer?" if you've got a file named "everything on your computer". And by Subversion, you mean Visual Source Safe from within Visual Studio. Subversion works quite well as do the Explorer and the Studio plugins (TortoiseSVN and Ankh respectively). Not sometimes - this is the norm, not the exception. Pretty much anything that has any kind of GUI at all and is not safety-critical runs on standard Windows. I know for a fact that the only ATMs that don't run Windows are those that still run OS/2 - AND they also use webpages for the GUI!